Plans to restart the Large Hadron Collider – the largest particle collider in the world – have been shelved after further vacuum leaks in the beam path were discovered. The multi billion dollar research tool has been out of action since September 2008. The European Organisation for Nuclear Research (CERN) had hoped that it would be operational by October however this has now been pushed back to at least November. It is the third delay in as many months. To repair the leaks the affected sections must first be warmed up from -316 degrees Fahrenheit to room temperature – a process that will require several weeks to complete. 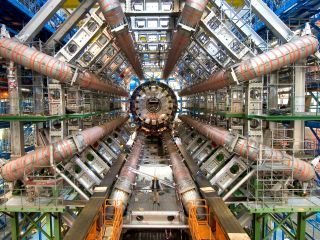 The LHC was created as a means to test various theories such as the existence of the Higgs boson particle. When operational it is hoped that the 27-kilometer long particle accelerator will be able to recreate the conditions of the 'big bang'.